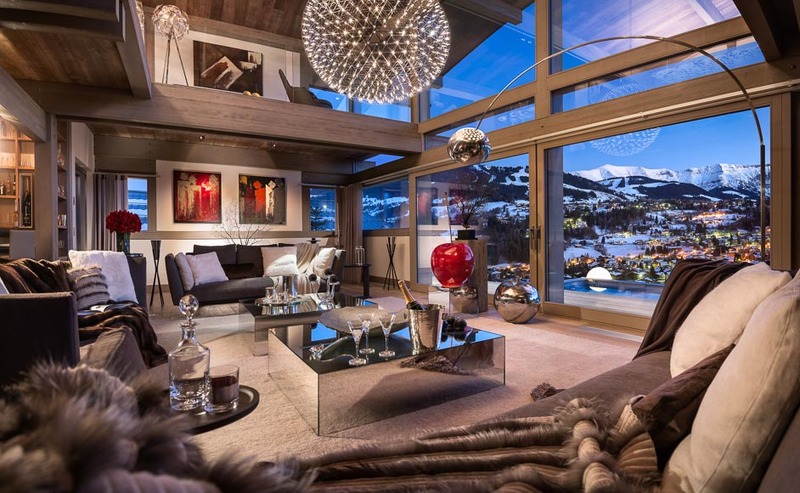 Arrive via private heli-pad at this out of this world chalet. 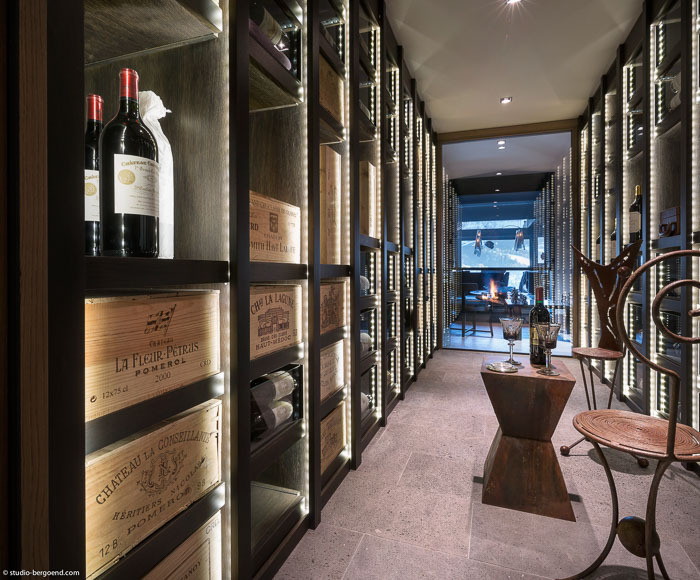 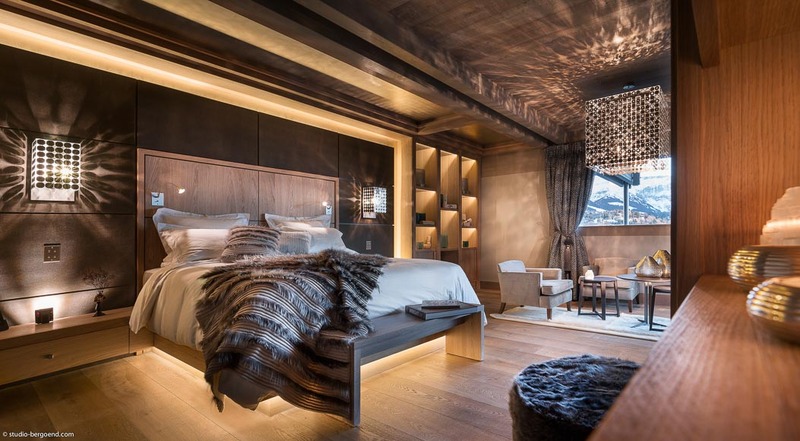 Boasting seven en-suite rooms sleeping 12, a spa, sauna and extensive wine cellar, this lavish ski-in ski-out chalet is the very last word in luxury. 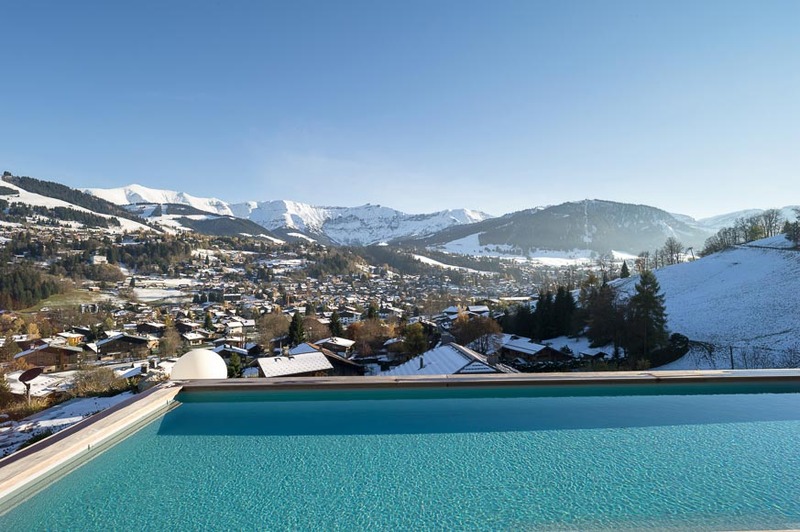 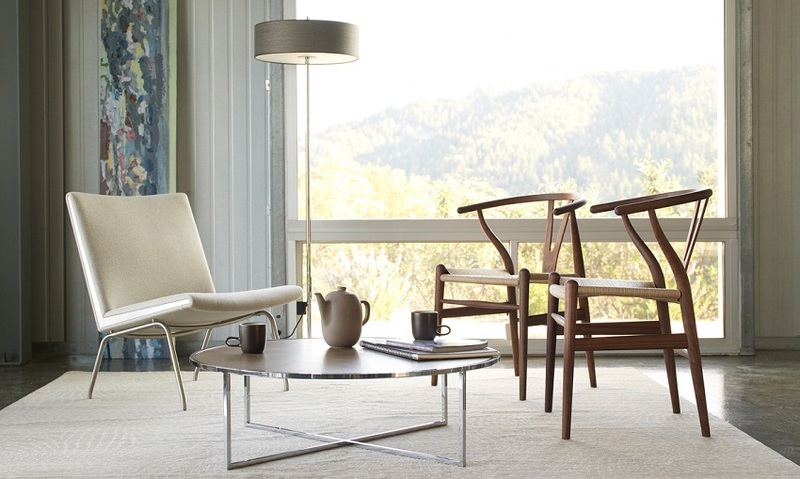 Gaze out on the valley below from your heated infinity pool, unwind and enjoy a truly unsurpassed alpine retreat. 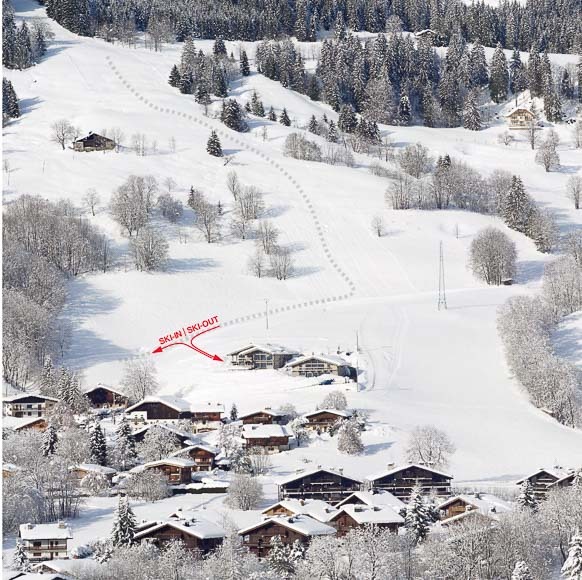 Les Trois Vallées ski area is as renowned for its vibrant parties as it is for its expansive pistes. 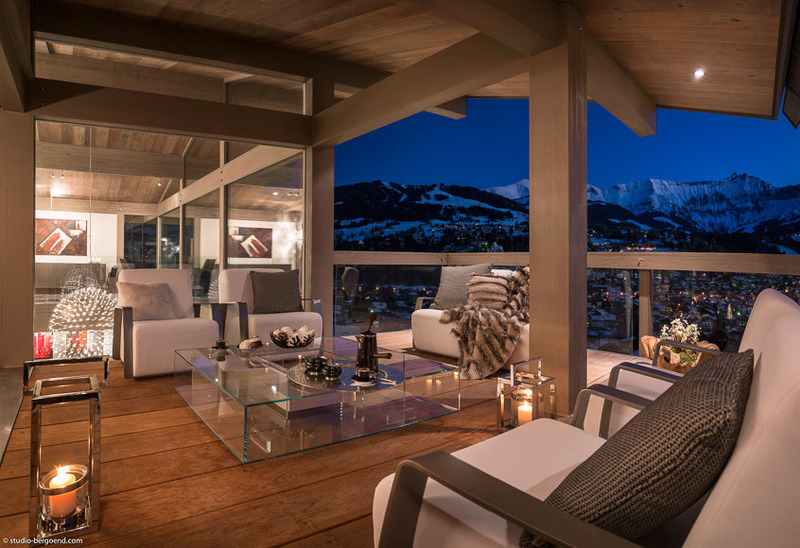 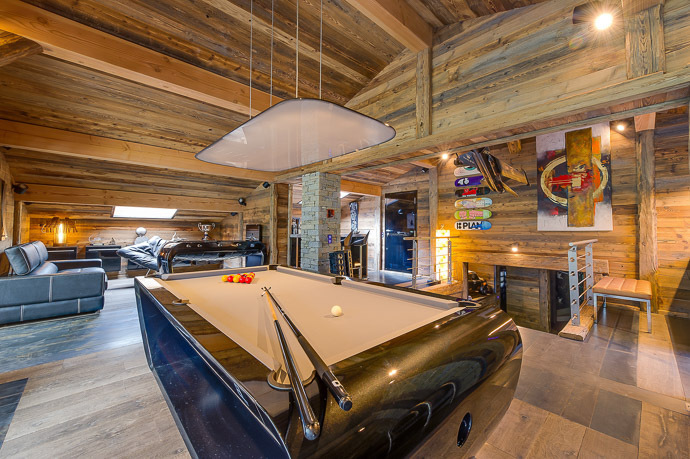 Located on the slopes of glamorous Courchevel 1850, this exceptional chalet allows you to bring the après ski home, with a full nightclub equipped with a professional DJ kit, sound system and light up dance floor. 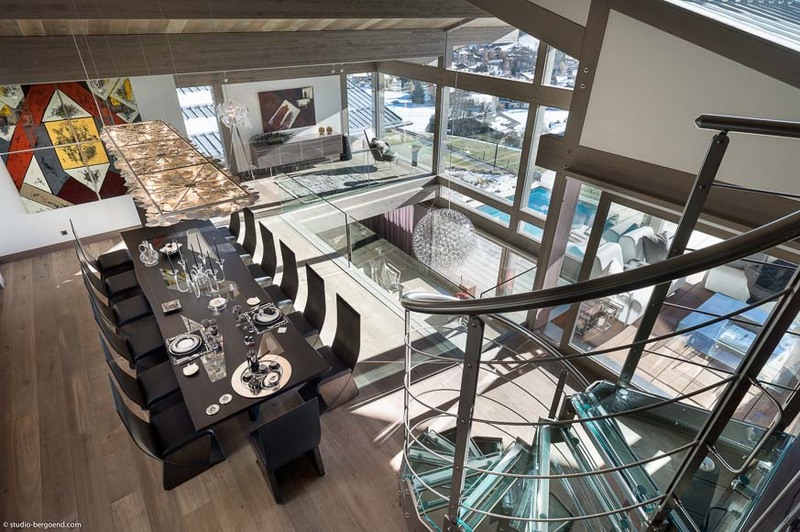 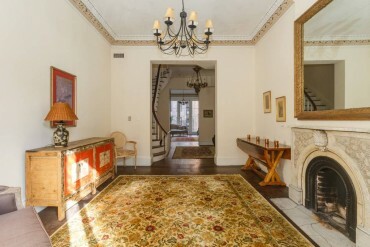 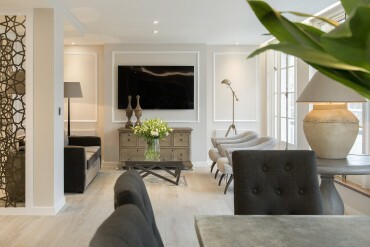 Built over six floors, the chalet sleeps 14 in ultimate comfort. 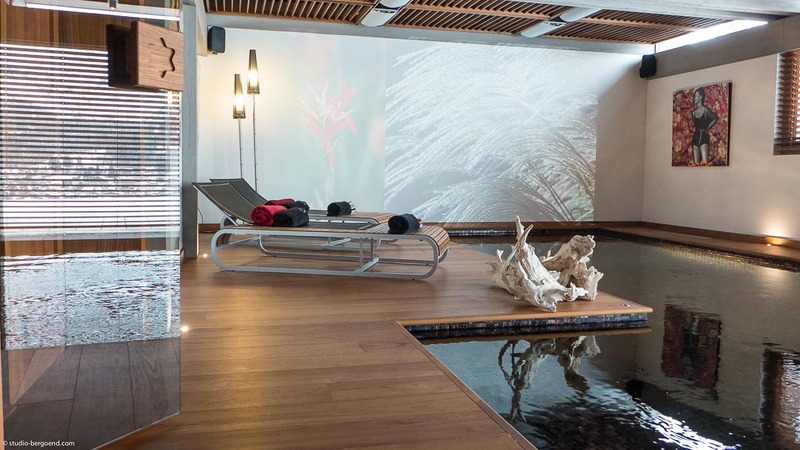 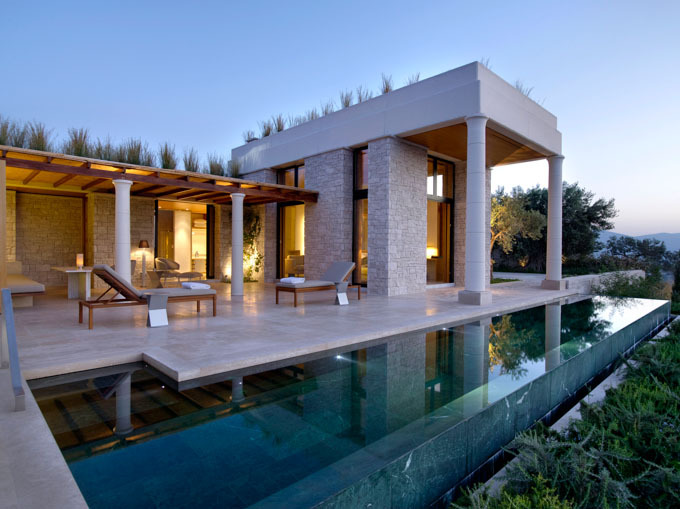 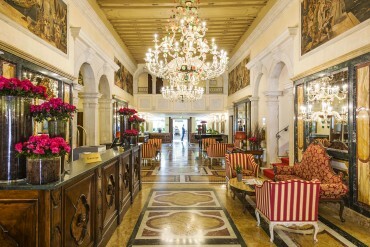 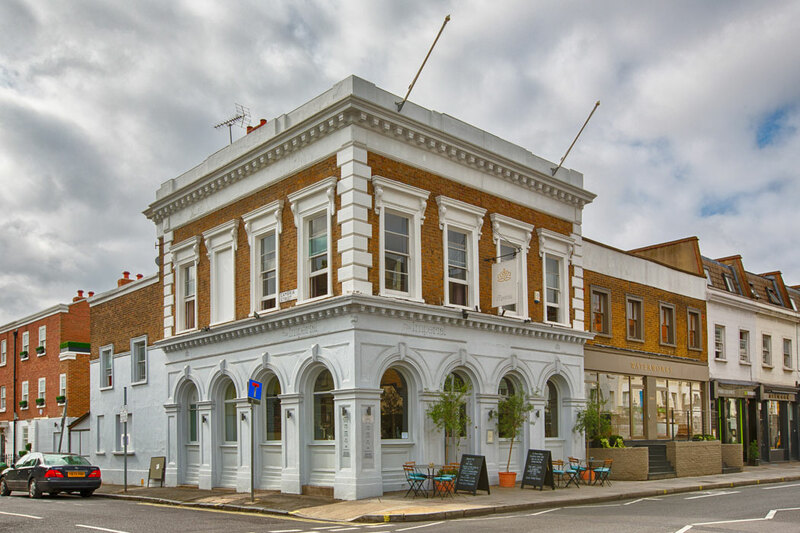 A 14 metre swimming pool, Jacuzzi, hammam and open flame fire are perfect for relaxing after wild nights. 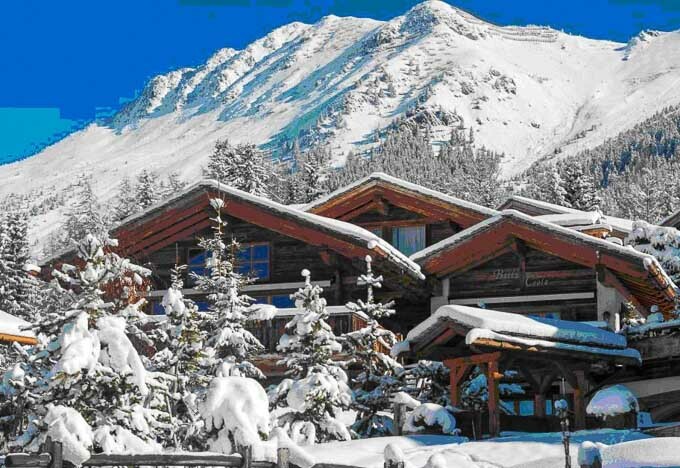 Nestled in 42 acres of private woodland and meadows, this cosy chalet is the perfect mountain hideaway. 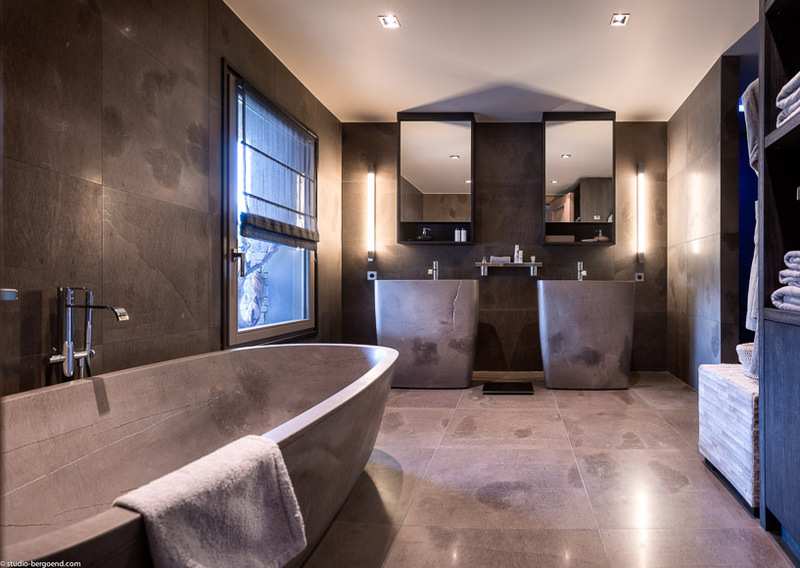 Enjoy sweeping views across the Dolomites from the hot tub, looking down on the village lights whilst the snow falls slowly around you- a truly romantic retreat. 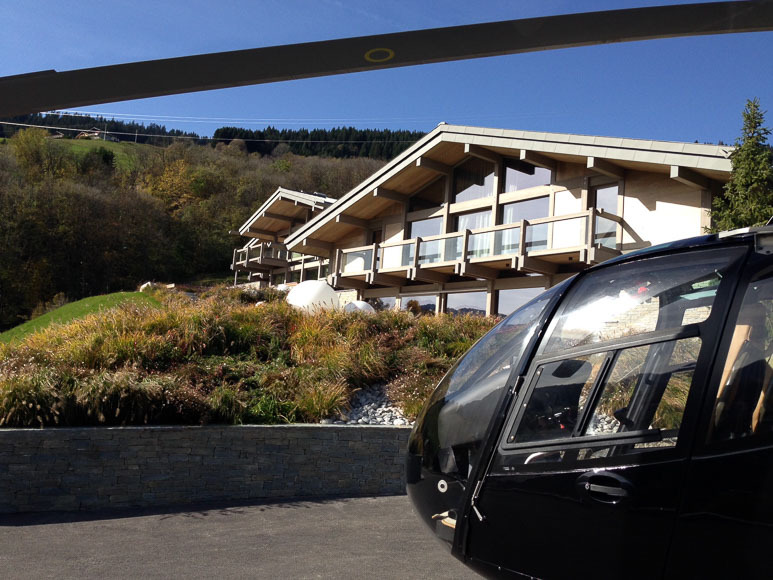 The chalet boasts an 18-hole par-3 golf course, designed by golf legend Jack Nicklaus, and has its own helipad lending itself perfectly to heli-skiing. 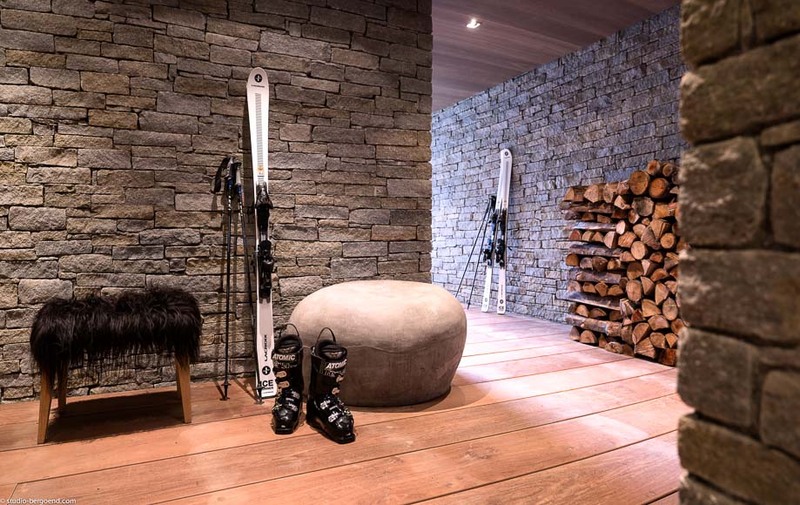 Owned by an Italian husband and wife duo, the hosts will delight you with classes in the traditional Italian art of wood-carving, or take you to the forest for wood-chopping to fuel your evening fire. 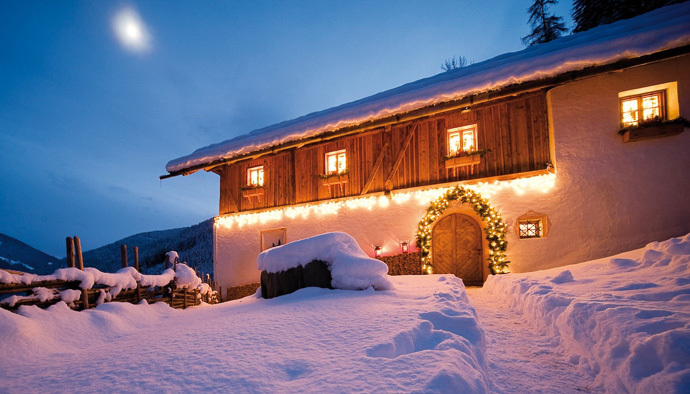 Sleeping up to ten guests in five en-suite bedrooms, Amazon Creek is the ideal chalet for a festive family retreat. 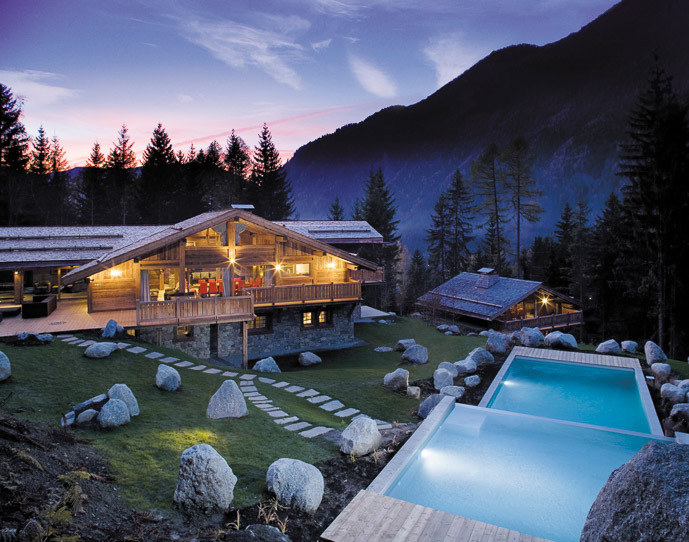 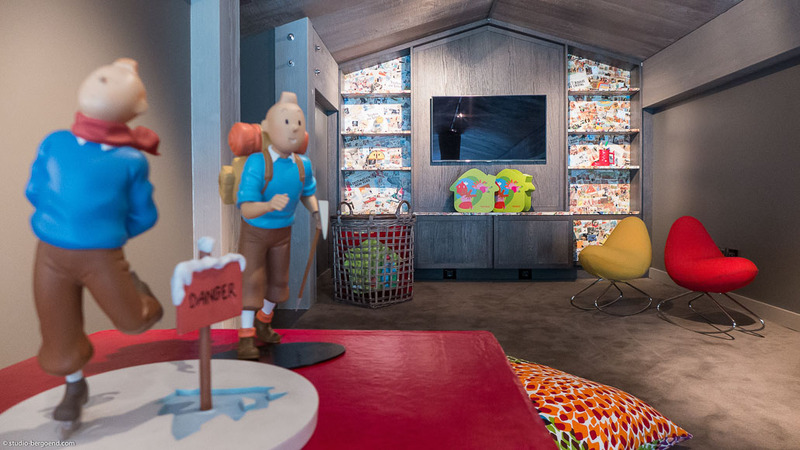 Nestled in woodland above Chamonix, the Chalet provides something for all the family. 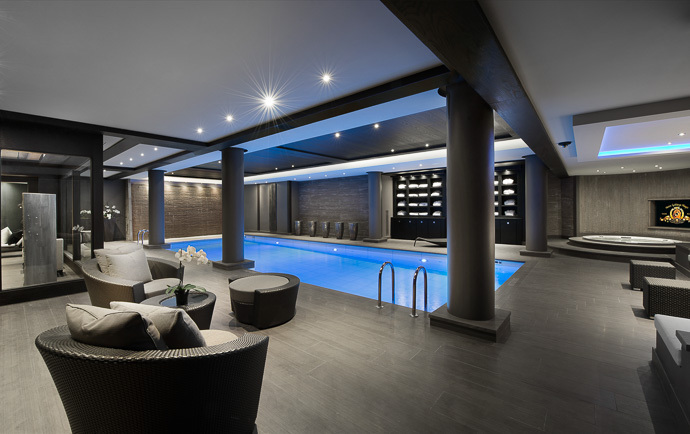 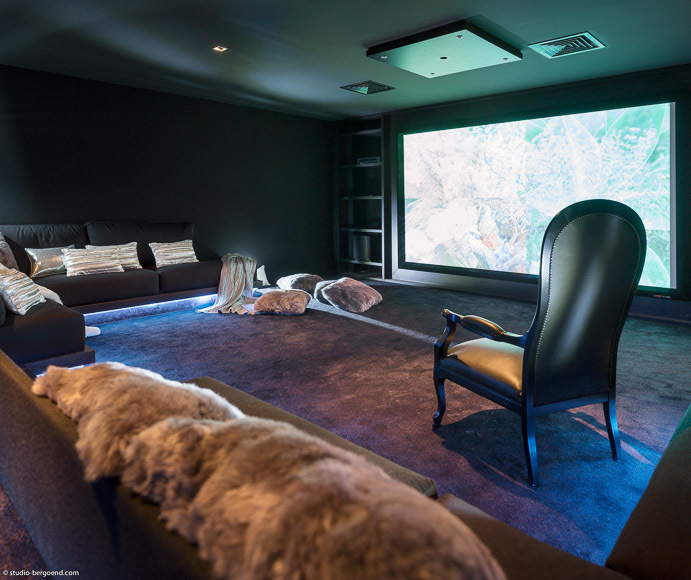 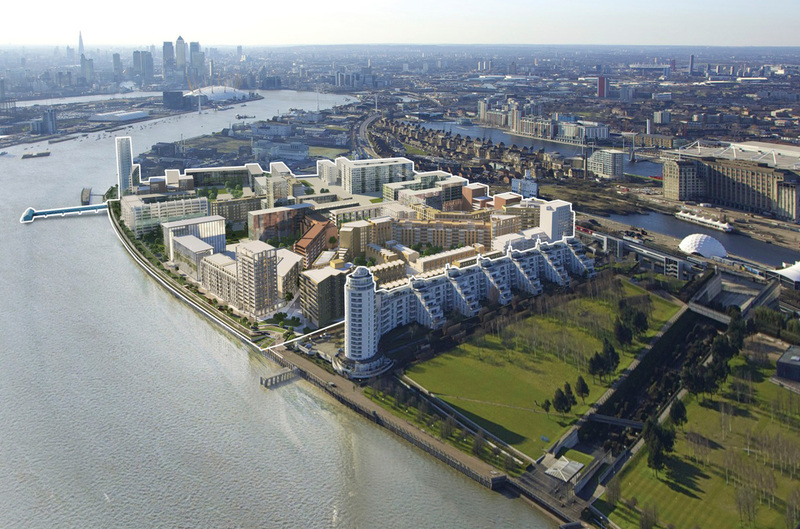 From vast living areas to outdoor swimming pool, cinema room and luxury spa, the property combines pure luxury with unrivalled tranquillity. 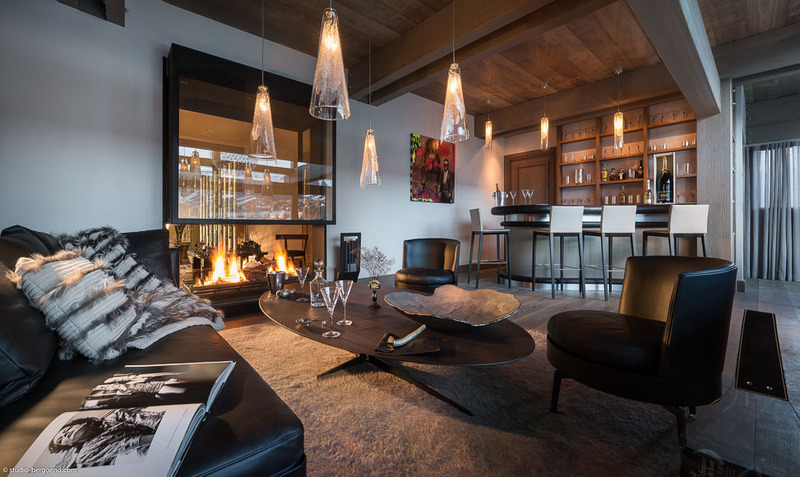 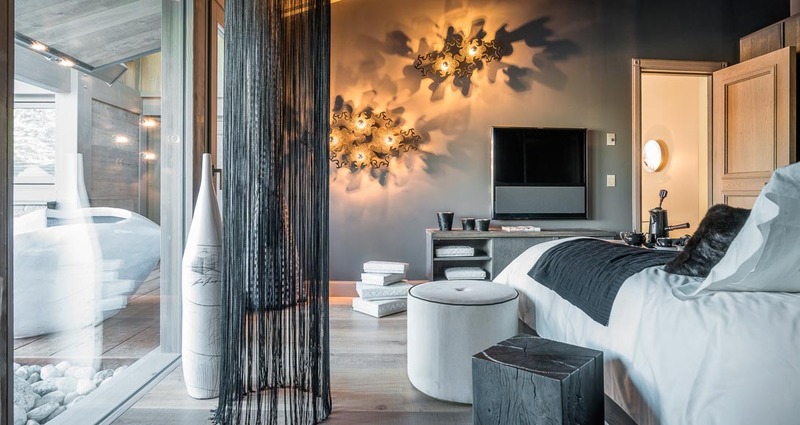 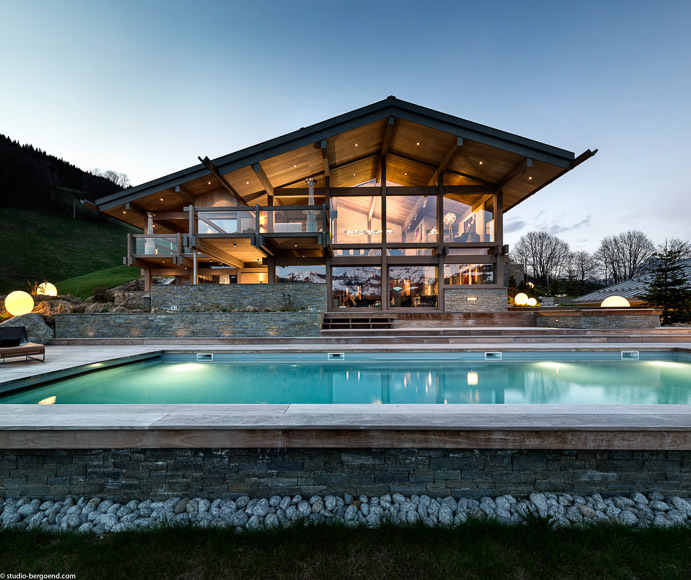 For uber cool alpine living, this contemporary chalet is the ultimate bachelor pad, designed with luxury and indulgence in mind. 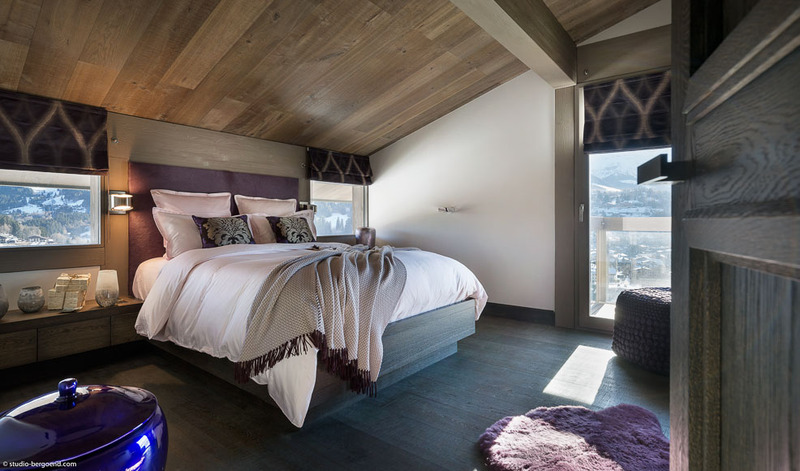 Sleeping 12 adults and 4 children across 7 individually designed suites, the chalet sits on the hilltop in Tignes Le Brevieres, enjoying stunning views of the mountains and lake. 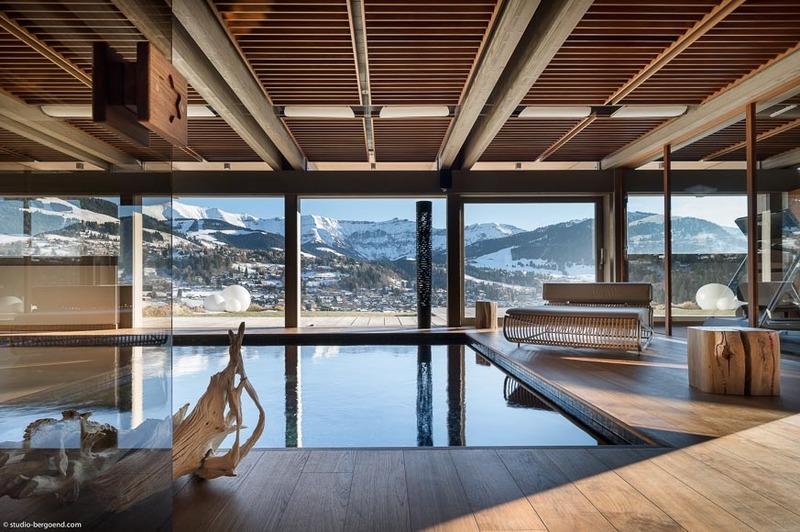 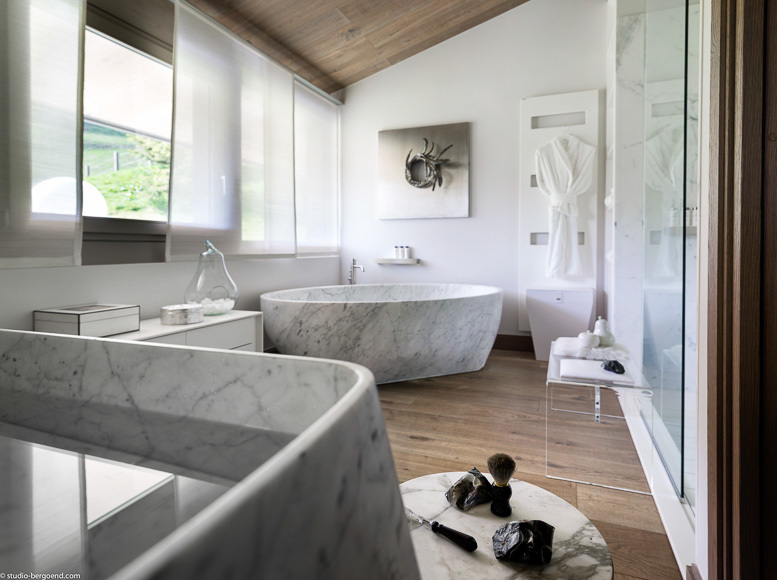 Owned by renowned French Freeskier and rally driver Guerlain Chicherit, the chalet is accented with unique sculptures and artworks. 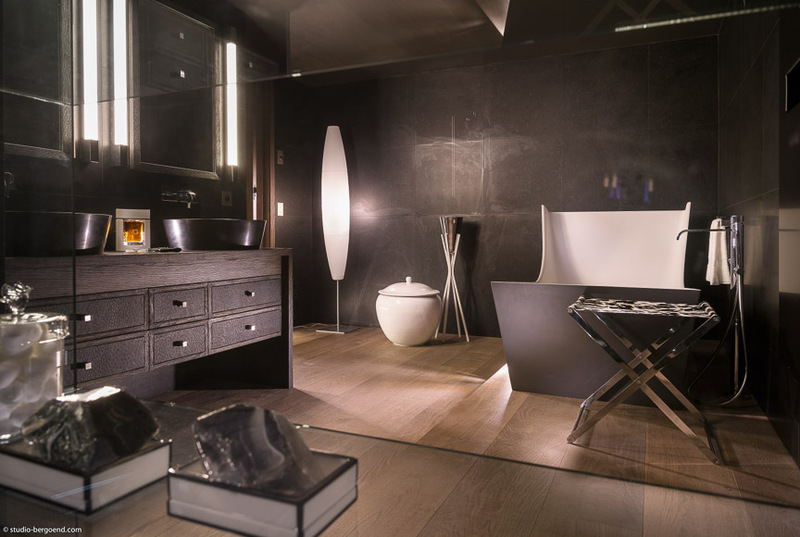 The focal point is its sleek billiard table that transforms into a Ping Pong table, along with 3D TVs in every bedroom, and a rare glass bath tub.